"I can't thank everyone enough for all of your beautiful birthday wishes. The character of The Lone Ranger has meant a lot to me and I am very touched knowing that it has influenced your lives as well. Your kemo sabe, Clayton Moore." Clayton: The first message above is just the beginning of many messages to follow. You have touched many lives with your appearances on the little screen and big screen. Its been a distinct honor as well as a pleasure to have created this web page as a tribute to you for your many years of hard work. All the writers here have nothing but the fondest memories because of you. Enjoy the remainder of the greetings as they are all from the heart as is the first message. Have a great and happy 85th birthday from all of us. Steve Jensen. Happy Birthday Clayton. I love the Lone Ranger show. I have your book "I Was That Masked Man" and its a great book. I wasn't born when the Lone Ranger was on but its now on the Westerns channel so I can watch it. You did a great job. Well, Happy Birthday and have a good day. Your fan Natalie. Happy Birthday to the one and only "true" Lone Ranger. I've enjoyed your TV shows as well as the two feature movies in the 50's. I wish that our children and grandchildren could have the opportunity to see the TV shows and the high moral lessons that you and Jay brought to all. May God bless you for all the good that you gave to the world. Tom in Florida. May your birthday be one of celebration that brings you one tenth of the joy you have brought to millions! I used watch 'The Lone Ranger' every Saturday with my grandpa. Even though he's gone, I still think of him when I think of the show. I loved it then, I love it now. God bless Clayton Moore -- The Lone Ranger. From someone half a world away, happy birthday and thanks for the wonderful times you provided myself and others here when we were glued to the radio listening to the episodes of the Lone Ranger. John. NZ. I used to listen faitfully to Brace Beamer on the radio when I was a little boy. I loved his voice and the way he, like everyone else who ever took the role of the Lone Ranger, tried to personify the qualities and values of that hero. When the show came to TV, I wasn't disappointed in your portrayal. If we had more "heroes" like the Lone Ranger and Tonto in our pop fiction, today, we might not have to be so worried about our young people. All the best from an old fan. Ron. Dear Clayon, Psychology states that father figures are important in early childhood development. Thank you so much for helping shape my identity - your Lone Ranger character helped instill honor, truth, goodness and so much more in me. I didn't find out who my father was until I was in my early twenties,... but until then I'd be proud to have considered you like my own father. In a world today where truth and goodness have almost disappeared, your memory will not. God bless you,... I only hope that "People Magazine" or even "Time" would do a cover-page story on you. You're kimosabe, Michael. Naperville, Illinios. I want to wish you a happy birthday and thank you for all the fond memories you have brought me. I grew up watching the Lone Ranger on TV in the 1950's and can say without a doubt that you were a positive influence in my life. I wish you all the best. Dennis Elliott. Happy Birthday to an actor that brought many exciting and happy moments to children and adults. My wife and I would very much like to wish you a VERY HAPPY BIRTHDAY. You have provided so much during your life time. You are still our HERO and you always will be. God Bless You. Mr. Moore, you will always be the one and only true Lone Ranger. As my wife and I watch old TV shows, a lot of them sure look hokey to us now. The Lone Ranger is still as true as it was back then. Thank you for your time and effort that you put into each show. Happy Birthday Mr. Moore aka Lone Ranger. P.S. My grandson that will be born this month will grow up to know the values that you gave his grandfather. Many Happy Returns to the one and only Lone Ranger. Raymond Graceffa. Happy birthday to you Ranger. 85 that is a lot of Hi Yo Silvers. Hope you have a good one. I loved your show it was the best. Well, I got to ride on down the trail. See ya. Your fan, John Harvey. Dear Mr. Moore, Wanted to say, Happy Birthday to you, Happy Birthday to you, Happy Birthday, Mr.Moore, Happy birthday to you, may you enjoy many more delightful years...ahead of you. Sincerely, Irene A. Lapointe, Lebanon,Oregon. Dear Mr. Moore, I just wanted to take this time to wish you a "Happy Birthday", and to thank you for the years of enjoyment I've derived from "The Lone Ranger". I'm 42, and have turned my kids into fans as well. They're 11, 13 & 16 year old girls, and when they were little, we'd listen to the debut radio broadcast on cassette during long car rides. Then I found a copy of your debut broadcast, and they REALLY became big fans. No matter how many years pass, you will ALWAYS be the one, TRUE "Lone Ranger" to my family. Many happy returns. Happy Birthday, Mr. Moore! I was born in 1947, so the Lone Ranger was a big part of my childhood. My father was a big western fan, and since I was Daddy's little girl, I joined him to watch all the westerns. The Lone Ranger was one of our very favorite shows. I can still remember sitting wide-eyed as he told me the story of how The Lone Ranger and Tonto met. Just last year, I finally got to see that first episode myself when my brother gave me a three-video Lone Ranger set for Christmas. The Lone Ranger stood for honesty and integrity. I'll always hold that show near and dear to my heart. I enjoyed reading your book, "I Was That Masked Man". There truly is only one Lone Ranger...Clayton Moore! Once again, Happy Birthday!!! One of your many fans, Wilma Walsh, N. Smithfield, R.I. Happy Birthday Mr. Moore! Thanks for the memories! Nettie from North Carolina. Mr. Moore: It's hard to believe that this is your 85th birthday. It just seemed like yesterday that I was wishing you Happy Birthday on your 84th birthday. Anyway, this must mean I'm a year older as well. I wanted to take this opportunity to wish you a very Happy Birthday with many Moore to come. You have been an inspiration to me for almost 50 years starting with your serials and, of course, the Lone Ranger. I'm still working on trying to get copies of all those episodes and maybe some day I'll do it. Enjoy your birthday and I will be looking forward to writing something for your 86th birthday. Mark Eckell. Happy birthday and best wishes, Mr. Moore. Thank you for your outstanding body of work in film and television. I am pleased to have your autographed biography and found it to be fascinating. Donald Petkus. Dear Clay, Sorry we can't be together as in the past but just the same Fran and I wish you a very happy birthday, We love you, You are our Kemo Sabay. Our love, George & Fran. I hope you have a great 85th birthday. Thank you for all of the joy you brought me as a youngster growing up watching Lone Ranger. I still love to return to those thrilling days of yesteryear as I still watch the Lone Ranger on the Western Channel. It was great fun 50 years ago and it is still great fun today. Art Dove in California. As you reach your 85th birthday, I hope you know how very much you are loved and admired for the lasting values and decency you gave us through the Lone Ranger. God bless you for a job well done! William Miller in Maryland. Happy birthday to a man who was and is my hero! May you have many more many, many more. A fan since the 1950s, Deborah Miller. I had an opportunity to meet you at the State Fair of Texas many years ago. You were at the Dodge Truck display. I came up and talked to you when others did not believe that you were the "real" Lone Ranger. You told me that I was first one to come up and actually talk to you. You are and have always been one of my favorite western heroes. I wish you a happy 85th birthday. Later...30...Jerry. Dear Mr. Moore; Congratulations, and a happy 85th Birthday. My first introduction to The Lone Ranger came at an early age, laying in bed listening to the radio. I believe it was Brace Beemer who played the masked man on my old RCA console. But as I grew older, there was only one Lone Ranger that formed the basis of our adventures and dreams: Clayton Moore. This was a formable part of my growing up. I'm glad I had the chance to say "Thank You" for all the memories you've given me. Craig Kimball. To Clayton Moore: You, as the Lone Ranger, are one of my best chidhood memories. I still catch you and Tonto any time I can find episodes on cable. I look forward to the September special on the Encore station. "A mighty hi ho silver " and have a great birthday. Best wishes from Sugar Land, TX-----Dennis and Lindsay Shea. Ah, Clayton. Will we ever again have a Lone Ranger as wonderful as you? Happy Birthday, and I may even have a present for you! I've heard about the Lone Ranger movie they're "going" to make. (Will they ever get around to it!?!) In the meantime, I hold on to my dream of some day remaking the '81 movie. I'm just a working-class shmoe with a dream, but who knows. I've contacted several literary agents and, as you once told Tonto in an episode in which you were surrounded by guns and low on ammuniton, I'll "keep the faith." Regardless, all the happiness in the world. Charlie Betzen. When I was growing up in the 1950's in a small town in north Idaho, you were the hero of the whole neighborhood. On Saturday afternoons everything would stop for us so we could watch the Lone Ranger. If we were outside playing, all of our moms had strict instructions to call us inside. We would watch an episode, then go out and relive it. Two of my prized possessions are a small Lone Ranger coloring book, and a puzzle showing you and Tonto, both from the '50's. I grew up admiring you -- and I still do. I enjoyed your book very much. God bless you on your 85th birthday. May you have many more. Deral, Littleton, Co.
Mr. Moore, THANKS!! For all those thrilling years of yesterday,. whether you were cast as the good guy or the baddie, you always fit the bill and never let us down. Happy Birthday, Sir. James Simpson. Congratulations on your birthday and wishing you many happy returns. Also wishing you many more birthdays with blessed health. Have enjoyed your work for many years, in serials, movies, and television. Also have your book and have enjoyed it very much. Frank did you an excellent job. Again, Happy Birthday, take care, and may God bless. From Texas, Ross. Dear Mr. Moore, We wish you a very Happy 85th Birthday with many more to come. We also can't thank you enough for the right direction you led us kids of the 1950's in by the way you inspired us to do all the right and honorable things in life, by all the examples we were shown, in all of your Lone Ranger TV shows, that we watched every week and still do, some 40 plus years later, on the Western Channel. Your Fans Forever Mike & Leona Centralia, Wa. Happy Birthday to a great American. Your portrayal of the Lone Ranger and dedication to the moral values this country was founded upon is an inspiration. From the time of my birth to this day , you have been my hero. Thanks to you and Jay Silverheels for showing all of us how to live the Lone Ranger Creed. God Bless You! Clarence A. Corbett. My wife and I would like to wish you a very Happy 85th Birthday and many more to come. As children we watched your show and learned many lessons and values from you. We still watch our videos of the program that we purchased and enjoyed your book also. May God watch over you for all your fans. Joe and Pat. Dear Mr. Moore (My all time Lone Ranger). Just a note to wish you a happy birthday! To us you are & always will be "The Lone Ranger"! Hope you have many more birthdays. Bill & Anne Campbell. Congratulations on two landmark celebrations only days apart. Best wishes on your 85th birthday and congratulations on marking the 50th anniversary of the debut of The Lone Ranger television program. Your performances of so long ago, which were a part of my growing up, are so indelible that they continue to impress these many years later. They are personal achievements and public influences that deserve more than my modest words. Over the years you've had many faithful companions and we're all out here wishing you the best. Larry Hopper (Down Home Frolic). FIRST ON THE RADIO THEN T.V. YOU TAUGHT ME TO BELIEVE THAT GOODNESS DOES WIN OUT IN THE END. ALSO THAT PLEASURE COMES FROM AN ACT OF KINDNESS, NOT FROM ACKNOWLEDGEMEMT OF THE ACT ITSELF. GOD GO WITH YOU MY FRIEND! YOU ARE A SPECIAL MAN. HAVE A WONDERFUL BIRTHDAY!! ALBERTA. Would that we could all return to those thrilling days of yesteryear, it is good that I have been able to reach out to one of the strongest influences in my young life when I needed direction and character molding. Damn few others ever showed me as much as you did. May you have many more Birthday celebrations my friend. Geoffrey Christian. Happy Birthday from Canada, Mr. Moore. You are a loved man in this country too. I was never lucky enough to meet you in person, but from what others have said, I have no doubt that you are a genuine human being. Best wishes and good luck on your 85th. Congratulations. Don Franklin, Markam, Ontario. Mr. Moore, I am 61 years old, and have been a Lone Ranger fan since I was a small boy, and I don't even remember the first time I encountered the Ranger. I collected comic books, listened on the radio to every show that was on, and even watched most of the TV shows, although they were in re-runs, because when they first ran, we had no TV set. I saw them in re-runs when I was an adult. May I say that you have been my hero, along with Roy Rogers, for most of my life. I've always asked myself, when faced with a difficult decision, "....what would the Ranger do?" I'm not ashamed or embarrased to admit it, and I think you are one of the two or three most positive influences on my life, and probably those of many other adults in this country. It's a pity we don't have more people around to stand upand set an example such as the one you have set throughout your life. Happy Birthday to you, Mr. Moore, and may the trails in your life all be gently downhill. Sincerely, Robert E. Lowell. Dear Mr. Moore, I , too, am a grateful fan for guys like you. There are no others in movies today like you, Roy, Gene, Rex, Hoppy & just a few others. Yours were not just fun shows to watch, but you guys stood for something decent and encouraging for us kids to look up to. I know that "examples" have limitations. For a person to live like God wants, he or she has to have his Spirit inside (through faith in Christ) to give the power to live. But I think God has lots less to overcome in folks who had quality examples like you guys to admire. It is not the people who grew up on old-time cowboys who are shooting people down. The influences on us were not gratuitous violence, but discipline, respect for law & order, solving our own problems, & appreciating the decent part of the community. I do not want to make too much of this. But I hope you have a great birthday knowing that lots of us appreciate you for character you showed through the Lone Ranger. Charlie Murphy. Dear Mr. Moore, Happy 85th Birthday! God Bless and keep you! I have some warm and wonderful memories of time spent with my father watching your adventures on our Black and White RCA television set. We saw your program on Saturday afternoons, and it was a sad day if I missed it. I learned about fair play and tolerance and kindness while watching those programs. Thanks to you and your many co-workers for putting so much care into making them. What a thrill it is for me to watch these shows, once again, on the Encore Western channel. I have been making tapes for some young neighbors (2 yrs to 12 years old) who don't have cable. They love your show: you and Tonto and the rest of the actors are forever young to them. Frankly, you are all forever young to me, too. These shows are truly timeless. I wish you good health and happiness. Jim Gaudet, Austin, Texas. Happy 85th birthday,Clayton. Have many more! I enjoyed your show when I was a child, and believe in the Code of the West. Sincerely, Robert. Mr. Moore, Happy Birthday. It was an honor to met you when I was growing up.We need more role models like you, now more than ever. Happy 85th Birthday Jeff X,Chicago. Mr.Moore. Best wishes on your 85th Birthday. I wish this generation of children had role models on television such as your Lone Ranger. Your belief in the character,and what he stands for is something I admire. S.Matthew Russo. Happy birthday Mr. Moore. As a police officer, and horse enthusiast, you represent the consummate combination of these parts of my life. I just finished watching an episode of the Lone Ranger and loved it just as much as when I was a child. Would it be possible to receive a signed photo from you? Myself and my daughter would be very appreciative. Mike Verro, Burlington Police Department, Burlington, Vermont. May God bless you, Clayton Moore!!! 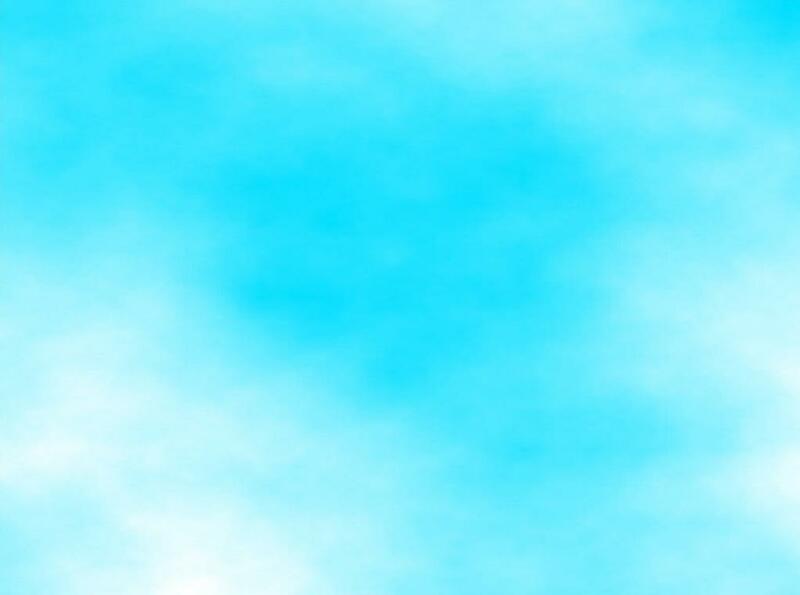 You are my substitute father, since my father died when I was five. If only you knew just how frequently I look to you for guidance and warm memory of my father. You connect me to him. One of my few memories of my father & I is listening to the Lone Ranger on the car radio. After my father died, I collected soda bottles to return to the store for 2 cents each so I could go the Saturday afternoon matinee to watch you and Tonto. I have always wanted to tell you what a positive role you played in my life and to tell you " thank you". Your life, both professional and personal, provides me with warm memories and with a code to live by. You help me so much and I wish you a blessed and most happy birthday!!! Elva Goss, North East, Md. Mr. Moore I have watched the Lone Ranger for years, and now my son gets to enjoy also. My Grandfather, Dad, Myself, and now my son can have fond memories of the Lone Ranger and Tonto. Thanks !!!!!!! Happy Birthday from the Boyce Family in Nebraska. Happy Birthday Ranger! Thank you for many happy Saturdays in front of the television . My brother and I never missed your show. As I read just a few of the many well wishes in this card I see that I was not the only one to take to heart your high moral standards. I wish today's children had someone like the Lone Ranger to look up to and to learn from. Happy Birthday to my hero. Ken Llewellyn. Thank you for many hours of enjoyment for my family and myself. Don Steffen. Hi Clay and a great big Happy Birthday and many more. We've missed seeing you at the different parties . If you get a chance, look up my E mail at: Hank Decato@cs.com or web page: www.homestead.com/geneautrytribute/ Hope this finds you and your lovely wife doing fine. You've been a credit to your proffession and I'll always treasure our friendship. Our best always, Hank & Beverly Decato. Thank you for the best example of the type of human being we should all be. I am a friend of Frances Striker, Jr., and his father's creation was one of the best pop culture creations ever. The Striker family has always been very protective of this character and you have only added to this wonderful example of how we should all live and interact!! I have collected and written about both the history of radio and television entertainment for many years, and you are one of a very few performers that, in word and deed, make me proud to be an American. I hope you have a very happy 85th birthday and many more. Terry Salomonson, Howell, MI. Hey you good L@@KIN' hunk of a man... HAVE A SIMPLY FANTASTIC BIRTHDAY!! You are an American Icon to sooo... many fans of all ages. Clayton Moore will always be the legendary "Lone Ranger"... Live on Kimosabee! Hi Yo Silver, away! Sherie. Happy birthday Mr. Moore. May I proudly say that you are my HERO. I am 52 years old and continue to watch the Lone Ranger on video. I proudly have a Lone Ranger figure displayed and Merita Bread sign. I wish you all the best and want you to know that you are a blessing to many people and we thank you. Happy birthday. Pennie Edgeworth. Howdy Ranger! Sure is good to know you're still out there riding the range. I'm much obliged for all the help you've given us all over the years, and just pray that God will grant you peace and joy and health. When I wore a Deputy's badge, I have to admit that I once pondered what The Lone Ranger would do in my boots. It worked! May God bless you Ranger Moore. John Charles Wade. Dear Mr. Moore..... Almost 50 years old and writing a fan letter. Such is the effect you had on the children of this country in the 50s. You were then, and still are the epitome of what we strived to become. Through your guidance and inspiration we all helped create and even better place to live. Happy 85th birthday, and sincerest wishes for many more healthy years. Sincerely, Dr. Herb Elias, Bucks County, PA. Happy Birthday Mr. Moore - May this day be as wonderful to you as The Lone Ranger and all the memories it brings to me. HI - YO SILVER...George. Dear Lone Ranger, Happy birthday! Hope you are doing fine. There is only one Lone Ranger and you are the one. I live in Desoto, TX and watch you amc on your birthday in Sept 15 from noon until midnight. We can watch you all day and I can hardly wait. All these years I still love to watch you and Tonto. My sister and Dave said happy birthday. Lamar. WILL BE PROUD TO SIGN THE CARD OF A TRUE AMERICAN HERO. WE NEED A LOT MORE HEROES IN THIS WORLD. THANK YOU FOR YOUR HELP. I WILL STAY IN TOUCH. KINGKRAZZ. Mr Moore, You came to a Miami Florida Theater in the mid-50's with the release of one of your movies. I was SO excited. But the real excitement was to see you IN COLOR; as a kid I assumed your outfit was grey. You twirled your guns for us; What a thrill! Have a wonderful Birthday Sir !! Michael M.
Thank you Mr. Moore for those wondeful memories. In French Canada(Quebec) you were called "Le Justicier Masqué". I recall your visit in Montreal where you had presented your 1956 movie. You had signed patiently hundreds of photos and answered questions for hours. I recall that warm handshake at your house when I dropped in from Canada unexpected. I was fortunate in this century to have known The Lone Ranger. Robert-Montreal/Canada. To the Lone Ranger: You were, are, and always will be my hero. From a guy who's old enough to remember you. Henry in New Orleans. HAPPY 85TH. BIRTHDAY AND MANY MORE. I HAVE SO MANY GREAT MEMORIES OF THE SHOW. I EVEN REMEMBER THE NAME OF THE LONE RANGERS NEPHEW'S HORSE-A SON OF SILVER I BELIEVE. I AM AN ART TEACHER IN DES MOINES, IOWA AND PLAN TO BRING A KEMO SABE CAKE FOR THE TEACHERS. I GREW UP LOVING THE LONE RANGER, THE WEST AND HORSES. I LIVE IN JACKSON WY. SUMMERS AND DO WESTERN ART. THANK YOU FOR INTRODUCING ME TO THE THE WEST. CAROL B.
I HOPE YOU HAVE A VERY HAPPY BIRTHDAY, CLAYTON. I WATCHED THE LONE RANGER RELIGIOUSLY. I EVEN ENTERED A CONTEST ONE TIME. I THINK THE PRIZE WAS A LIONEL TRAIN. I WROTE YOU AND ASKED IF YOU WOULD SELL YOUR HORSE, SILVER. YOU SENT ME AN AUTOGRAPHED PICTURE OF YOU AND SILVER. I JUST WANT YOU TO KNOW HOW HAPPY YOU MADE A LITTLE BOY. I LOST THE PICTURE BUT THE GOOD MEMORIES WILL LIVE ON. THANKS, JERRY YARBROUGH. Hope you have a very happy birthday. Thanks for setting an excellent example for my generation. Its a shame that todays youth don't have heros to look up to as we had you. You instilled a sense of right in us that is still there today. I am in charge of a technical college and rely on much of that sense of right and wrong in guiding our students. Please know your message continues. Thank you from the bottom of my heart! Jonathan Thomas.. Sellersburg, Indiana. I cannot thank you enough for all the joy you have given me thru the years. God bless and keep you on your birthday...Tom and Sue Grefer. It is an honor to say "Happy Birthday" to a class act. I will never forget how much enjoyment you gave so many. I only wish my children had a TV hero like you. I tell them about you and how you were a role model to kids everywhere and how important it is to have values like The Lone Ranger. I teach them to love God, to be fair and to treat others with dignity and grace. You taught that to many kids and you should be so proud of the mark you have left. My own father was a great role model for me, but you were the icing on the cake! I just got a picture of you and my wife and kids thought it was great. My son even gave me a tape of a couple of your old shows. It is the best....I hope you have the best day ever! God bless you for all you have done. Royal Myers. Mr. Moore, I just wanted to say THANK YOU for all those great episodes and movies! They were lots of fun, and helped me develop a good sense of morals. I now have a 6 year old boy who is probably going to be getting some of your videos for Christmas. Thanks Again and Happy Birthday! -Arvil & Nic Bowmer, Indiana. Words fail me when attempting to tell you what you and The Lone Ranger has meant to me. Suffice it to say, I used to see you back in my native Cuba before we were forced to leave to seek the freedom you so valiantly defended each and every week. In Cuba, of course, to children of my age, you spoke Spanish -- dubbed, but who knew? Since then, May of 1961, this country has lived up to its every promise and I've tried very hard to live up to the creed. I owe you a lot for that. God Bless You, Mr. Moore. Ruben Betancourt, Plantation, Florida. Dear Mr. Moore I am not one to normally send messages or invade stars lives, but I felt it necessary to let you you know the joy you brought into my life. The first time I saw the Lone Ranger was at the age of four, back in St. Louis. 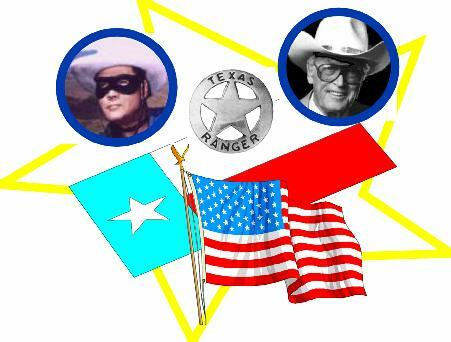 I grew up with a sense of pride in the ideals and morals that you represented, as the "Ranger". When I was eleven my father moved the family to the Lone Ranger's original stomping grounds, the state of Texas. The first thing I thought of was you as the Lone Ranger. I was proud to be growing up in the same area that the Ranger once lived. As I begin to enter my forties I still find myself an ardent fan, who (and I've stopped trying to explain it to my wife) pulls out tapes of the show for another spin. Thank you for all the wonderful memories, and helping to shape my life almost as much as my parents. Happy birthday, for this and many more years to come. Sincerely, Michael J. Moore, Philadelphia, PA. Happy Birthday, Clayton Moore! You will always be the Lone Ranger to me...The One and Only...You are respected by millions because of what you believe in ... May the beliefs of the Lone Ranger live in us all. You taught me honesty and fairness. God Bless you, Clayton Moore. From A Lifelong Fan, Andrea from Nebraska. Dear Clayton: I have been a big fan of yours for the part 45 years and have enjoyed "The Lone ranger" TV show. Happy birthday to you, and wishing you many more. Sincerely, Brad Johnson/Rockford, IL. Dear Clayton Moore, my name is Jeff Landry and I have been a big fan of yours for a long time now. I loved your show, The Lone Ranger, from the first time I saw it and have seen many episodes over the years. I also have The Lone Ranger collection on video. I read your book titled "I Was That Masked Man" and it was really enjoyable. You have been a inspiration to me and many others, if there were more people like you the world would be a beautiful place to live in. I want to wish you a happy 85th birthday! Thank you and God bless you! I am 50 years old and every time I watch you on tv you bring back memories. happy and healthy birthday. I would say I am an avid fan I do not miss a night on the western channel 700- 720 pm. The only enjoyment on tv is the Lone Ranger and know the marathon sept. 15, wow. Thanks again for being the Lone Ranger. Gary Glick, Bellmore, NY. I would like to wish you a very Happy Birthday. I have been a Lone Ranger fan since the radio days. I watched you growing up and even today on re-runs. You will always be, in my heart, the one and only Lone Ranger. The very best and GOD Bless you. Jerry, Ohio. The effect of the Lone Ranger on my life: Eastern Kentucky University B.S. Police Administration, Union College MAed. Psychology. The ethics and values of the Lone Ranger, instilled in me confidence that I could do what I wanted to do and in the process help my fellow man. Thank you Mr. Moore for your many years of teaching that which is right from that which is wrong. Best wishes and may God Bless you. Darrell W. Peters. Happy Birthday Mr. Moore and thank you for all the wonderful years of entertainment. We just got digital cable in our area near Syracuse, NY and now I get to see the Lone Ranger several times a day with my 3yr old granddaughter as a former combat wounded and decorated Viet Nam veteran and most recently a retired Police Sergeant, I know what I like to watch. So thank you again for being a hero for me while I was growing up and now for doing it for a whole new generation of young fans. Best wishes and healthy live for many more years. Thanks again Nick Donvito (a fellow law enforcement officer). Dear Mr. Moore, no where in the pages of radio and tv history can one find a greater champion of justice. My thanks to you and all those before you who accepted this role that so influenced us all in honesty and truth and have made us better persons for it. May you have a very happy birthday and may we as fans be able to send you birthday greetings for a long time to come. You will always be my western hero. Thank you, George Tyda, Grapevine, TX. Dear Mr. Moore: Last year I sent you a letter wishing you a happy birthday and today I send you those wishes again by email. The inspiration you have been for so many of us as we grew up in these United States is incalculable. I pray the good Lord to keep you and yours and grant you many more years in good health. Our family will remember you in our prayers to this end. May God bless you abundantly for all the good which you have done. Sincerely, William P. Grossklas. Thank you for all the joy you have given to so many people over the years. The Lone Ranger was and still is hero to many people. It is good to see the good guy do good, and the bad guy get justice. The youth of today do not have as many true heroes to look up to as when we were growing up. So many times today the heroes are the ones who get what they want, any way they want it. This is not a good role model for the youth of today. I hope God has blessed you with the happiness you have given to so many people. Love and prayers to you from Lannie and Jean in Tennessee. Dear Clayton, Just wanted to wish you a happy 85th birthday. God willing you will celebrate many more. You, Hoppy, Gene and Roy have always been my heroes. I watched you on televison growing up and I always admired the Lone Ranger's morals and his love of God, country and his fellow man. I also loved your horsemanship and the way you handled your guns. May God continue to bless you. Sincerely, Kurt Sumption. I grew up listening to the Lone Ranger on the radio and then watching you on TV. I've always considered the Lone Ranger one of my heroes and I always considered you to be the only Lone Ranger. I admire and respect what the Lone Ranger character stands for, and I want to thank you for bringing such a positive role model to all of us for many years. Happy 85th, and I hope you have many more. Gary Weiler, Laurel, MD. Thanks Lone Ranger...for showing up at Chicagos' Cook County Hospital the Christmas of 1959. You and the others really made my day at 9 years old and have never forgotten it. Thank You, Roger. Dear Mr. Moore, Thank you for always being there when we needed you. As a boy I could always count on The Lone Ranger to get us through the hard times. As an adult you were still there. After a difficult ordeal I would play back your movies to regain my sense of justice, honesty, and caring. It has been a rough couple of years and you were riding right along side, once again! Please come out of retirement at least for some television appearances. America really needs The Lone Ranger again! I carry one of your silver bullets in my uniform pocket to help me continue your cause. Hopefully with the same amount of caring. I know it sounds cliche, but thats okay. God Bless You. Your Friend, Tom Lemmon. Happy Birthday and many more. We really enjoy your series(reruns) and look forward to watching them every night. Love, Jeannette and Leon. Dear Mr. Moore, I too grew up listening on the radio then, through your interpretation on television, to The Lone Ranger. It's a shame that there are no such true heroes for our grandchildren today. The ideals that were taught through the Lone Ranger episodes lived on in my life and, I'm sure, many others. My your birthday be a special one and may you live for many more. Just keep in mind what you meant to so many for so many years. God Bless you. Perry Greer, Cleveland, Ohio. I have watched the Lone Ranger for over 45 years. In my office at school I have your picture and a few things that remind me of you. Many of my students asked who is the Lone Ranger and I sometime feel sorry that this show is no longer on tv. I have a Lone Ranger tie that I only wear on September 14. So Mr. Moore have a happy 85th birthday and thank you for making my childhood and adulthood a little better. Anthony Accavallo. Dear Mr. Moore, When I was very young, the "Lone Ranger" was never missed; now that it has returned to tv, it has brought back to me the values and the code of the west. Thank you for your portrayal; it is the only one, in my mind. Bill Ganz. p.s. I also had a light blue complete "Lone Ranger" outfit. I loved it! Happy Birthday, Lone Ranger. Even today at the age of 51, I enjoy watching you and Tonto bring justice to the Old West. Thank you and Happy Birthday. Dennis Evanosky. Dear Mr. Moore, it's a pleasure to me to wish you a happy birthday after so many times we really enjoyed with the Lone Ranger. I keep in my mind all the memories from that time when the whole family met (full of expectation) to watch the Lone Ranger (El Llanero Solitario) program in early 60's in Mexico (where you have a lot of fans). We were able to follow each episode in such a splendid way that it will never come again. My words are not enough to express my gratitude and admiration for all those fantastic moments you gave to us. Please receive my very best wishes today and forever. Thank you. Sincerely yours, Galo Ortiz. Dear Mr. Moore, As a young girl, I loved sitting with my grandfather as we listened to and later watched your portrayal of the Lone Ranger. He was much older than you, of course, but he loved the Lone Ranger and whenever I hear the William Tell Overture, see a black mask, or anything to do with your shows, I fondly remember him. Today, I work as the Director of Activities in an assisted living facility. Many of the residents here are in their 80's and 90's and remember the Lone Ranger very well. Next week we will be celebrating the 50th anniversary of the first television broadcast as well as your birthday. Thanks for contributing so much to us over the years. Loving you, Jo Watts, Memorial Oaks Guest Home, Houston, Texas. HAPPY BIRTHDAY TO THE BEST THE LONE RANGER. This is such an honor to send you this birthday greeting on your 85th. Mr. Moore I met you at the Jefferson Mall when I was in my 30s. You gave me a hug and I couldn't stop from shaking. I have so many wounderful memories of you. You always put a smile on my face when I think of you.You have always been my hero.God bless you and may you have many more blessed B.days. Janette from Colorado Springs, Colorado. YEEHAW! Happy birthday LONE RANGER. This is so great. Me and my daughter get to wish you a happy B-Day. Just wanted to say you truly are our hero. We hope you have a terrific B-day you are the best. May you have many more. God Bless you. From Jerry and bear in Joliet, Ill.
Dear Mr. Moore, I have been a fan of yours all my life. I met you in August of 1979 at Lincoln Mall, in Matteson, Illinois. You signed a 2 by 3 foot picture of you on Silver. It is my most prized position. My family knows that if the house was burning down, and they could grab one thing, it is your Lone Ranger autographed picture that they are to grab. I wish you the very happiest of birthdays. I hope you understand how much you mean to so many of us. We grew up with you, and you will always be our greatest hero. God Bless you and your family. Happy Birthday. Dr. Craig Nelson, Frankfort, Illinois. Dear Mr. Moore. I want to wish you a very Happy Birthday. I grew up with you as my hero, and you still are today. I'll never forget you and all the things I have learned from you. If only actors of today could learn from you. Happy Birthday, and May God Bless. Ken Munson, Jr. Grottoes, Va.
Love, Andrew, Robert, and Shelley. I want to wish a Happy Birthday to Clayton Moore. I will be taping all the episodes that the MoviePlex channel will be showing on Wednesday the 15th. David Shaw. Dear Mr. Moore, Thank you for many happy Saturdays in front of the black and white Philco and for the twinge of surprise when, seeing you in person at Pleasure Island in Wakefield, Mass, I learned that your outfit was blue! I also learned that you were a real person with real feelings when you recited the Lone Ranger Creed. It made a lasting impression. Thank you for bringing the Lone Ranger to life and for adding more substance than the scriptwriters could have first imagined. Dexter Rowe. MY NAME IS WILLIAM AND I WILL BE NINE YEARS OLD TOMORROW, SEPTEMBER 11TH. I HOPE YOU HAVE A WONDERFUL BIRTHDAY. I REALLY LOVE WATCHING YOUR SHOW EVERY NIGHT. IT IS REALLY NEAT. MY DAD USED TO WATCH IT WHEN HE WAS A KID AND NOW WE WATCH IT TOGETHER. WHY DO YOU WEAR YOUR MASK? I WANT TO DRESS UP AS THE LONE RANGER FOR HALLOWEEN, BUT I ONLY SEE YOU IN BLACK AND WHITE TV. WHAT IS THE REAL COLOR OF YOUR OUTFIT SO MY MOM CAN MAKE ME A COSTUME TO LOOK LIKE YOU, I ALREADY HAVE THE MASK. YOUR SHOW MAKES A LOT OF PEOPLE HAPPY. I HAVE A WHITE PONY NAMED MOCHA. FROM WILLIAM AND BILL (MY DAD). Happy birthday Clayton Moore. You will always be the only Lone Ranger to us. We loved your shows when we were young, and we are still watching them every night on the Encore Western Channel. They are still as good today as they were then. It is too bad more of today's shows don't follow the high standards that were evident in your shows. You are a true western hero. Thanks for all the hours of TV enjoyment. Joe and Beth Wells. Galesburg, IL. May God bless you on your 85th birthday! Thanks for all the great movies. Happy Birthday Dear Mr. Moore! What words could I use that would be adequate enough to Thank You for the many moments of happiness You, Tonto, and I shared together. I am now in my fifties and continue to watch you on Encore. Thank God they still continue to run The Lone Ranger. I believe that you truly are one of a kind, a true Christian. I feel confident that Mr. Jay Silverheels looks down from heaven with a broad smile on his face. Again Thank You Mr. Clayton Moore and many many Happy Birthdays to you. God Speed and may each day bring a brighter one to you! M. James, Tucson, Az. As I am still growing up at 54 years of age, I want to thank you and Tonto for all the wonderful memories I have of my first childhood. My brothers and I watched you faithfully and we even named our white horse, "Silver". You have and still are sharing with us, our children and grandchildren such wonderful adventures. HAVE A WONDERFUL 85TH BIRTHDAY AND I HOPE TO SHARE MANY MORE WITH YOU. Hi Clayton: I just want to thank you for all of the wonderful memories you gave me growing up. I was priviledged to meet you on several occassions and talked with you personally thanks to Stu Beveridge. I will never forget the conversations that I had with you, or the wonderful example that you set for all of us. Best wishes for a very Happy Birthday and I hope you enjoy many, many more. Randy Butterfield . I had the priviledge of meeting you by chance in 1979 in New York when you autographed a photo of yourself which still has pride of place on my wall. Since my boyhood your series has been an inspiration to good moral values so absent in programing today. At 47 and living in Britain, you are still an inspiration and a source of many happy memories in front of the TV. Thank you and Happy Birthday. (Richard Story, London, UK). I GREW UP WITH THE LONE RANGER, NOW AT AGE 50 I WATCH WITH MY SON ANDERS WHO IS 5 YEARS OLD. WHAT A JOY TO RELIVE THOSE THRILLING DAYS OF YESTERYEAR WITH MY BOY! YOU ARE TIMELESS AND STILL CREATE NEW MEMORIES TODAY. THANK YOU AND BEST BIRTHDAY WISHES CLAYTON. KEN JOHANSON, St. Charles, Illinois. Dear Mr. Moore, Happy Birthday, you will always be my hero! Mary Ann Confar. Hello and congratulations on two celebrations ! I wish on you a very, very happy and healthy 85th birthday with many more to come. Happy 50th anniversary of the debut of The Lone Ranger television program too !!. I am Rene Chavarria ( rchavarr@rcc.com.ar ) from Argentina. I want to tell you how much you meant to argentines like me, growing up during 60's learning your code, ethics, honor and principles. I am working in a LONE RANGER section for my webpage DIMENSION CERO ( http://come.to/cero ). I hope you'll read my tribute to you very soon. HI-yo , Silver ! again and forever ! Rene Chavarria. HAPPY BIRTHDAY-CLAYTON From someone who was lucky enough not only to have met you, but to enjoy your entire career. You are the PERFECT living icon of what The Lone Ranger represents. It's no wonder why the millions of kids wanted to grow up to be just like THE LONE RANGER. Since I was a kid, I'M 44 now, I appreciate the ideals you have instilled in me. I try to live up to them. But I guess I just want to say THANK YOU for BEING THE LONE RANGER. Your fan for life, STEVE / IN NEW YORK. All the foregoing tributes have said it all.The Lone Ranger and Tonto have left a deep impression on more than one generation. In the 1950's when Clayton Moore as the Lone Ranger rode into our living rooms, we were captive audiences.We were 9 years old when our fathers took us to see Clayton Moore in Belfast, N.Ireland in 1958 at the premier of "The Lost City of Gold". Happy 85th Birthday and thank you. Allen and Fred (brow365@ibm.net). Who could have thought that, when I was growing up watching the Lone Ranger on our old black-and white DuMont TV, I'd eventually get to send along my best wishes for you by such a high-tech system as this! I keep two things prominently displayed in my office: the Boy Scout Handbook (with the Scout Law) and the Lone Ranger's Creed. The world would be a better place if everyone would practice the principles presented in these two things. Happy Birthday with my profound thanks for years of quality entertainment. Bob. CONGRATULATIONS AND THANK YOU FOR THE LONE RANGER'S CREED. IT HAS BEEN VALUABLE IN SHAPING MY LIFE & MY CHILDREN'S. HI YO SILVER. RANDY. HAPPY BIRTHDAY Mr Moore. The Lone Ranger is one of the first programs I remember as a child and I truely appreciate you giving me so many hours of pleasure as a child. Thank you for instilling the principles of right and wrong to so many young minds. Your faithful fan, Judyth Harding, Hendersonville, NC. You mean so much to so many people, Clay. America has truly been blessed by the example you have lived. Thank you so very much. May God continue to bless you and your family. You are the Best of the West, my friend.Happy Birthday - Rick Carroll. Dear Mr. Moore, I have longed to meet you for as long as I can remember. The Lone Ranger has been one of my heroes since I was a little boy. I learned so much about what it means to help others from you. Long before I converted to Catholicism and learned of the saints, I chose to emulate fictional heroes such as the Lone Ranger. I have even donned a homemade Ranger costume and made appearances at such places as hospitals and summer camp for muscular dystrophy kids. Even today at 35, the Lone Ranger is still apart of my life. I read your autobiography and enjoyed it. My wife and I (Our 9th anniversary is on the 15th, the same day as your 50th TV anniversary) have two little girls, Grace who is 6, and Rachel who is 2, and we watch your two movies and as many of your TV episodes as I can find on video. I cannot tell you enough how much you and the Lone Ranger mean to me. May God bless you on your birthday. Bill Necessary. Happy birthday to Clayton Moore from John Smith in Berkshire, England! And many more of them. HI ho and away. I heard the NPR radio announcement of your birthday this morning on the way to work. As I tried to recall the TV show's prolog - "From out of the west . . ." - I could feel the Goose Bumps start to raise on my arms. Thank you for your work and inspiration. Perhaps it's part of the explanation of my 30 year career in the U.S. Navy. Happy Birthday; All the best; Fair Winds and Following Seas. Lawrence Winkler, LCDR, USN, Ret. Dear Mr. Moore, I grew up watching your programs - and I am still watching them on videos. I didn't realize it at the time I was a kid but your philosophy had a great positive bearing on many lives. We still need you. I wish you the very best of luck. Sincerely, Randall Perdue. I join with the world and say: HAPPY BIRTHDAY LONE RANGER and GOD BLESS YOU AND GIVE YOU MANY MORE to share with your lovely wife. Your pal always, Sérgio De Holanda Cavalcanti, Maceió-Alagoas-Brazil. Happy Birthday Lone Ranger! From Charles, Pat and Jessica Partridge! I want to wish Clayton Moore 'The Lone Ranger' a very Happy 85th Birthday & a Happy 50th Anniversary on the best Cowboy show of all time. Clayton you are the last American Hero from my childhood. It was your values that led me to a career in Law Enforcement. While growing up in Chicago, I started watching your show at age 2. My children, thanks to the Western Channel and video's can also enjoy your show. I enjoyed your book very much. Once I started reading it I could not put it down. This is a very special week for you, and all of your fans. To the one and only "Lone Ranger," Happy Birthday. I hope you have a great time in your retirement. Thank you for all of the great shows and a lifetime of values... Ed Beck, Susanville, Ca. Happy Birthday. Just wanted to let you know what fun it was to grow up watching you. Pete Santago, Clemmons, NC. God Bless you, Mr. Moore, and Happy Birthday! You were my boyhood hero in the '50s, and you'll always be a hero to me. Ken Sisson, Berkeley, CA. Dear Mr. Moore: Best wishes on your 85th birthday! You have been a model of what is good and moral to so many, and what great memories I have of The Lone Ranger...Long life and happiness to you. Phil W., Carol Stream, IL. Happy Birthday Mr. Moore. As we are looking forward to a new century, we may remember the best hero from this one. Your high standards, and fair play are ways many of us, the older generation now, were brought up. I best remember the times my father & I would watch the Lone Ranger and Tonto every week. As a young boy growing up, I always wanted to be the Lone Ranger. Now at the age of 50 I still enjoy watching your shows on video. My father is now living in California and has had the pleasure to talk to you several times. You were so kind to sign some postcards he brought to you and had them sent to me. Those are the first items noticed when my family and friends come calling. I don't believe we can ever repay you for the amount of enjoyment, encouragement you have given us. You are our "kemo sabay". Lou Servideo, Milford CT. Happy Birthday, Ranger! With all the happiness in the world. Greg and Karen Jacobs and family, Naperville, Illinois. Clayton, I,too, used to listen to Brace Beemer on the radio; I was thrilled when the Lone Ranger came to television. You have meant so much to so many people. I still enjoy watching the old Lone Ranger episodes. I was in Hollywood this summer and was so thrilled to see your star as the Lone Ranger. You were truly the Lone Ranger, someone who stood for right and law in our country. Thank you so much for the wonderful example. JoAnn Trusner. Happy birthday!!!!!!!! In a day and age when young people need a hero, someone to look up to, it is nice to be able to watch your reruns on t.v. I still enjoy watching them as much now as I did when I was a kid. I hope you have many more happy birthdays and thank you for being--the Lone Ranger. Bill, p.s. I like your book. Happy Birthday Mr. Clayton Moore --I can't begin to tell you what you did for me as I was growing up. You were one of my true original heroes-still are for that matter. I think shows like the Lone Ranger did did a lot for the youth of America. Again, Happy Birthday and many more to come. Bill Hesseltine. Happy Birthday!! I didn't know your birthdate untill Sept 14, 11:30 pm..., I found it on the internet. All that I want to say has already been said. With tears of rememberence of boyhood heros, all I can say is "you will always be The Lone Ranger in the hearts of all who have known you and what you stand for". I hope your 85th was a happy one, and please.....have many more. Gene Phipps - Dallas Tx. Happy Birthday, Clayton. May you have many many more. I grew up with the Lone Ranger in the 50's. We need more heroes like The Long Ranger today!!!! God Bless You. Nancy Chitty. Dear Mr. Moore. Greetings from Canton, Ohio !! We, along with all the others wish you a very very Happy Birthday. What wonderful memories you must have of your life. Your book is so interesting and it's so obvious you have touched so many lives. Thank you so much. Jack and Gini Lang. I have to say that even at the age of 40 I still have a crush on you. When I was a small child the sound of your voice was captivating. I still remember when I was 3 and in the hospital to get my tonsils out that you visited the children's ward. It is one of my favorite childhood memories. God Bless. Angie Patterson Cullman AL. Happy Birthday ! My wife and I love your shows. We are watching one right now on Satelitte TV. Thank you and God bless you! Your friends, Dave & Sherri. It was a thrill to meet you in St.Louis in 1989. I still have the autographed photo I sent you and you signed for me in 1986. It hangs in my office. I am 52 and grew up watching you. You are still the real Lone Ranger. Happy birthday! Sincerely, Greg Parrish, Carbondale, Illinois 62901. I'm sorry this is late, but I really wanted to let you know how much I loved your radio and television shows. I always wanted to be just like you (but alas and alack I am female) Even got Lone Ranger cap guns for Christmas when I was 10. But the Lone Ranger Creed is still something to live by. You're the best there ever was, the best there is and the best there ever will be. Happy 85th, Linda Cooper, Indiana. PS - I thought Tonto was really cool too. Dear Mr. Moore, I want to thank you for the warmth, caring and honesty that you instilled through a real Hero. Your portrayal is a reflection of your own personal values. Values that more of the generations to come should be able to experience, absorb and share with others. Thank you for being a part of my childhood. Thank you for transferring a large part of yourself to the character. YOU ARE THE HERO! THE LONE RANGER WILL RIDE FOREVER. God Bless you and your family, Charles Munao. Dear Clayton, I am a 45-year-old father of two who has been a fan of yours my entire life. Through the years, as I was growing up, my parents received many compliments on how well-mannered and honest their children were. That's the way they taught us to be, but I believe that, along with the good, honest, working-class upbringing that my parents provided to my sister and brother and me, my heroes had a very definite impact on the man that I am today, and you are the greatest of them all. I had to work today, but I taped all sixteen episodes of the "Lone Ranger" on Encore's Westerns channel today and am currently watching the second of the two feature films. I hope you had a very happy birthday, and I hope you enjoy many more! Steve Beckley. I enjoyed your shows and movies growing up in the 50's and still love them just as much today. As I write this I'm taping a full day of episodes and 2 movies from the western channel. You were always the only real Lone Ranger and I'm glad I finally have the chance to tell you "Thank You Masked Man". Bob Shaw, Overland Park, Ks. Dear Mr. Moore, I grew up watching you and was "The Lone Ranger" seven years in a row for Halloween. I took it one step further and have enjoyed a wonderful career in law enforcement. I still ask myself in tough or treacherous situations,"What would the Lone Ranger do?" Those guidelines I learned from you as a kid still hold true. My son Conor's first Halloween is just a month away....you know who he's going to be. Thank you and Happy Birthday. Ed Hinchey- Pittsburgh PA. I remember when you came to my hometown of Englewood, NJ in 1959 for its Centennial, and I was thrilled. I still watch the Lone Ranger when it's on, but if you're not in it, I can't watch it. You are the ONLY Lone Ranger.... A belated Happy Birthday and many more!!! A Fan from NJ. Dear Clayton: Sorry I'm a little late, but I wanted to thank you for your years of being a top-notch role model, both in general and specifically to me as an actor. You've shown me that I can play both good guys and bad guys, and still be a good guy in real life. Congratulations on this milestone and may you have many more, Mr. Moore.---Steve, Blacksburg, VA.
Dear Mr. Moore, I am so glad that I can write and wish you a happy birthday. You have been a hero of mine for many years. When I found your web site I was very happy. Thank you for being a very strong role model. All five of my sons know who the Lone Ranger and Tonto were. Thank you so much and God bless you always. Patty Hollers, Kingsville, Texas. Dear Clayton My brother and I are 50 and 52 years old. We have been loyal fans since we were small children. We still love you and are now enjoying the 50 yr anniversary showings of your movies and series. Hope you have many more great b'days. Al and Angela, Brookville, IN. Dear Clayton You and Jay made my saturday mornings, something I will never forget. My sister and I were glued to the TV for each episode. We are now 50 and 52. Thanks for the memories . We still faithfully watch you on the Western channel, you are the best. Happy 85th , hope you have many more. Al Accidio, New Providence, NJ. Dear Mr. Moore When I was 4 years old you made a personal appearance in my hometown. I still remember how thrilled I was to see the real Lone Ranger. You were the tallest man in the world, and Silver was the most spectacular animal I ever saw. For many years I carried that small "silver bullet"; though I knew it was just plastic, it was my most precious possession. You represented for me all that was good about America: honesty, truth, and above all compassion for our fellow man. May this 85th birthday be filled with as much joy as you've brought to countless thousands of fans and admirers throughout the years. God Bless you! William Morse. Dear Clayton Moore: As a kid growing up in NC, I was a member of the Lone Ranger Safety Club, sponsored by Merita Bread. I saw a lot of the serials you made prior to that, also. I think my favorite was The Phantom Rider. However, nothing could touch the The Lone Ranger. To quote Chris Farley: "That was awesome!" I thank you for so many years of downright fun. May God bless you with good health and lots of love. Ron Neal. love gary,valerie,alan,and adrian. hi ho away! CLAYTON MOORE: YOU WILL ALWAYS BE IN THE HEARTS OF THE KIDS THAT GREW UP WITH YOU AND JAY SILVERHEELS. YOU WILL ALWAYS BE THE LONE RANGER. NO ONE ELSE CAN TAKE YOUR PLACE IN OUR HEARTS. NO MATTER WHO HAS THE MASK ON WE KNOW THAT THEY ARE TRYING TO BE LIKE THE BEST AND THAT IS YOU. HAPPY BIRTHDAY. Happy Birthday Mr. Moore. I've been a fan for years. I enjoyed reading your book. You will always be that "masked man". I hope you are well and will enjoy many more birthdays. Richard, MacDougall, NY. Dear Mr. Moore: I am sorry I didn't get this message off in time for your birthday, but better late than never. I grew up on the radio Lone Ranger, Brace Beemer; but after seeing you on TV, you have always been the Lone Ranger to me. I asked for your autographed Book, I WAS THAT MASKED MAN, as my birthday present, and treasure it. We need heroes like you today. I was so happy to see the article on you in People magazine. You are my hero, and always will be. The world and I will always remember and love you. Mr. Moore, Happy birthday to a man who is an inspiration to many millions of people to do what is morally right and to stand up for truth and justice. Our eight month old son, Robbie, is watching you ride across the screen on Encore's Western Channel. When you come on he stops what he is doing and crawls over to the TV and will not respond to anyone while you are on. Thank you for inspiring another generation of fans, you will always be THE Lone Ranger. Love Chuck, Barbara, and Robbie Henault. Desde Montevideo, Capital de la Republica Oriental del Uruguay (South America) deseamos el mas feliz de los cumpleaños a quien encarnó al personaje m'as justiciero del viejo oeste norteamericano. Durante muchos años a omienzos de los años 60 se emiti'o su programa por la T.V. de Uruguay y muchos crecieron disfrutando de los ideales justicieros que su personaje encarnaba. Happy Birthay and HY YO SILVER. Saludos Eduardo y Mirta. HAPPY BIRTHDAY TO OUR HERO, CLAYTON MOORE, THE ONE AND ONLY LONE RANGER! YOUR PORTRAYAL OF THE GREATEST OF WESTERN HEROES IS AS INSPIRING NOW AS EVER. BEST WISHES TO YOU ON THIS SPECIAL BIRTHDAY, AND MAY YOU ENJOY MANY, MANY MORE, MR. MOORE!! VALERIE STOCKTON, NORTH CAROLINA. Dear Mr. Clayton Moore. First of all may I wish you a Happy Birthday even though its a little late. You have been an inspiration to me since I was about 12 years old. You and Tonto were my first teachers. By listening to your radio program and reading your comic books I was able to understand the English language and prepared me when I entered school in the Bronx, New York. Thank you for all the years of wonderful entertaining that you have given the American community. God bless you always. Ann Lydia in the Bronx, NY. Hello old friend. This card is late for your birthday but I wanted to send you my heart felt thanks and gratitude for all that you instilled in me and a whole generation of kids like me. I just retired after 33 years as a state police officer and I know that the lessons I learned from you I put into practice during my career as a law enforcement officer. Fair play, Honesty, and justice for all. God bless and have many more happy birthdays. Steve Stevenson, Ohio. I only got to watch part of the tribute to the Lone Ranger on the Westerns channel last week. They interviewed several people who spoke of you - in the past tense. I happened to see an article in People magazine earlier today that told of your birthday, so when I got home I started looking for information, and found this website. My thanks to Steve. Just wanted to tell you HAPPY belated BIRTHDAY. I was born in 1950 but remember the Lone Ranger on radio, and have watched you anytime I could find you on tv. From a long time fan. Nick Collins in Bushnell, FL. Stop in some time if you are in the area. Sir, I watched your show every saturday sitting on my rocking horse with my Texas Ranger badge and six shooters. Never missed one and still don't. Thank You for the things you gave me as a child and a parent. I Sir wish you the very best everyday. I wish my kids had someone like The Lone Ranger to look up to, not pokeman. Do you still live in Illinois? Bob Whitmer (RET. USAF) Lakewood, Wa. God Bless You and Yours. Dear Lone Ranger: I hope and pray you have a great 85th year...I tried back in 1991 to write you and tell you what a great influence you had been in my childhood...I still watch you when I can, and enjoy every minute as Tonto and the Lone Ranger triumph over evil! Thank you so very much, Mr. Moore, for following your dream, so that our dreams could become a reality by doing what is right, and true....May my Lord, Jesus, Bless you, and your loved ones-always! Your friend in prayer, Ernie Burgoa and Family-Boothbay Harbor, ME. Dear Sir! My communication ethics class is studying varying codes of ethics. Last week on your birthday we looked at The Lone Ranger's code. Happy birthday from your fan--Sheri Bleam. Happy 85th Birthday to Clayton Moore, The Lone Ranger. Your TV adventures with Tonto, Silver, Scout were something I looked forward to with great anticipation every Saturday morning during those thrilling days of yesteryear in the 1950s! Your unique voice quality easily replaced Brace Beemer as THE voice of the Lone Ranger. Your confident manner and action style were impossible for John Hart to replicate or to replace with his own. Even though he did a credible job, everyone was overjoyed when the REAL Lone Ranger returned. I will be getting a copy of your book 'I WAS THAT MASKED MAN.' Among other things I hope to find is some mention of a small part I think I saw you play in the beginning scenes of GONE WITH THE WIND. I hope I'm right about that because a few words of that special voice were all the tip off I had when I saw the 1939 film in 1961. BEST WISHES TO YOU, Bruce Hawkins. Happy Birthday Mr. Moore: I have been a police officer for nearly 25 years and credit you for sending me down that trail. I recently attended a law enforcement conference and heard a great Lone Ranger story as told by Texas District Court Judge Ted Poe. It seems that you made an appearance in Houston, Texas for a children's benefit. On your flight back home a baggage handler in the Houston airport opened your luggage and stole both of your silver .45 caliber guns. The thief was eventually caught, plead not guilty and asked for a jury trial. You returned to Houston to testify in Judge Poe's courtroom. Judge Poe like myself was a big fan. When you entered the courtroom dressed as the Lone Ranger the defendant's attorney objected and asked the court to order you to remove your mask. Judge Poe overruled the motion. As he said, outlaws have always been trying to take the mask off the Lone Ranger and he was not going down in history as the judge who did it. You were able to testify with your mask on and the thief was convicted. He was sentenced to probation. One condition of his probation: Once a week he was ordered to clean the stables at the Houston Police Department, Mounted Patrol Division. Paul Houston, Criminal Investigator, Polk County Attorney's Office, Des Moines, IA. Clayton,I wish you a happy birthday and I hope you have a wonderful 85th year. I was born in 1942 and when I was seven years old we got our first TV. I think you can guess what show was my favorite that year. I sent you a letter in 1987 and you returned a note to me in short order. I have that note in a picture album yet today in 1999. Many thanks and again HAPPY BIRTHDAY. Jim Haverland, Loveland, Ohio. Dear Mr... Moore, There were many great cowboys in TV history but out of all of them you are the best. You treated Tonto with great respect, you also treated Silver with the same respect. I have admired you for as long as I can remember. You are a great role model and when they say "who was that masked man " their answer will be Clayton Moore. Have a Happy Birthday. Your fan, Tom Astuto. I've been a fan of yours since first hearing you shout "Hi Yo Silver". Any child who hears the story of the Lone Ranger still dreams of doing good deeds, leaving only a silver bullet and people wondering "who was that masked man". Happy Birthday. Harold E. Covey, Jr.
My dear friend & Kemosabay: We were in the middle of moving on your birthday, and I didn't get a chance to get a card. It has been 20 years since the petition drive. Maxine and I want to wish you a very happy birthday, and all the best wishes for your health & happiness. Happy Birthday Kemosabay, Your friend, Jim Hollaert. Dear Mr. Moore: There's no masking how much we admire you! Many happy returns! - Harold Nichols. Happy 85th Birthday Mr. Moore! I hope this finds you happy and well. Thank you for being such a tremendous role model for our Baby Boomer generation. And thank you for providing such great entertainment then and now. May God Bless you and keep you! A lifelong fan, Jim Rice, Otsego, Michigan. "Belated Birthday Greetings" to you Clayton Moore. I grew up with The Lone Ranger and now I am taping The Lone Ranger shows and sending them to my great grandson. Three generations! We need shows on the air today with the "lessons" of yesteryear. Many more birthdays. Donna Kael. On August 23, 1986, after appearing at a Spartanburg, S. C. charity event, Clayton Moore, The Lone Ranger, was enroute to his hotel when a motorcyclist wrecked nearby. The Ranger, still in costume, was first on the scene. He directed traffic and rendered aid to the victim. When officers arrived, they were somewhat confused as to the identity of the stranger who was in control of matters. He then left abruptly. True to the creed in private as well as public life, you, sir, are the Lone Ranger! Happy Birthday from Delaine, CarraLea, Abigale and Ray Belcher. Happy 85th birthday Mr. Moore. Hope you have many more birthdays to come. I hope you remain healthy in your years and have happiness and joy. Thanks for making the Lone Ranger great and also making fans happy with your work. When I think of the Lone Ranger I think of you. I love the show and the movies. Every episode is a masterpiece. May God Bless You and watch over you daily. Thank you, brian d stearns. I just went through all the Happy Birthday wishes for Clayton and please add mine to the list. I can't believe all the Birthday wishes from all over the world. Everything I was going to say is already there. Plus, a lot of the stories of their childhood pretty well cover my childhood in the same way. Its good to see your "Hero" is everybody's hero. I really regret never meeting Clayton in person. We had Rex Allen and Gene Autry visit us here in Colorado Springs, Colorado, but I don't ever remember Clayton coming to our city. I would have been there for sure to shake his hand and say, "Thank you for bringing the Lone Ranger to life and being the father figure to us kids who didn't have fathers." Dwight. I can think of no living being who has had as much influence on this entire nation as you have had. You have always conducted yourself, both on and off the screen as a gentleman. I can only pray your health is good, and I will be able to send a birthday greeting before your b-day next year. I did see you once at a personal appearance in Ft.Wayne, Indiana, and had my wife stand on a flower pot to get over the crowd and take pictures of me shaking hands with you that day. They are among my most prized possessions. I would love to tell you a story about my daughter ( who is 25 now ). I would love to hear from you and relate this story. spmcc@wcoil.com May god continue to bless you. Steve Mccollum, Van Wert, Ohio. Wishing you the best on your 85TH Birthday As a child of the '80's I saw quite a few episodes of the Lone Ranger on CH 4 (U.K). I taped these re-runs and still have them in my collection. I think the Lone Ranger was and still is a great series. It set standards and values for people to live by. I think that you are one of the greatest actors of all time. I am proud to look up to you as my hero. Wishing all the best of health and happiness for the future.- Stephen Ford.